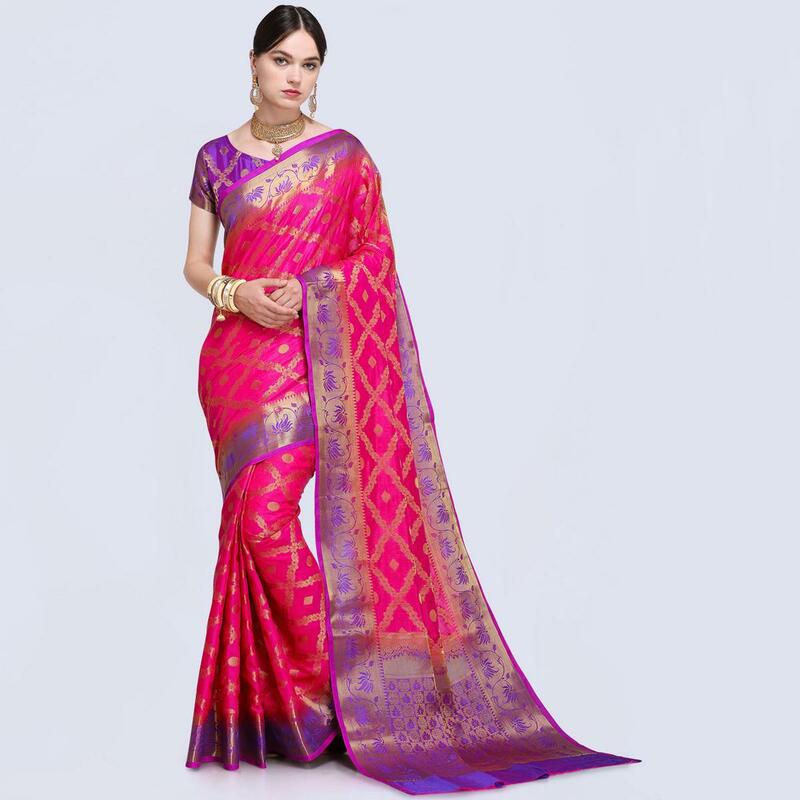 Glamour your beauty with this pleasant deep pink colored festive wear silk blend saree. The saree is amazingly woven along with contrasting color border. This saree is a perfect choice of those who like warm colors and want to look bold. The saree comes with an un-stitched silk blend blouse piece, which can be stitched as per your choice & requirement. Specially designed to wear for parties, functions or occasions, where you want to be center of attraction. Pair it up with classy accessories and heels to make your look more attractive. Buy this saree and earn lots of compliments from onlookers.